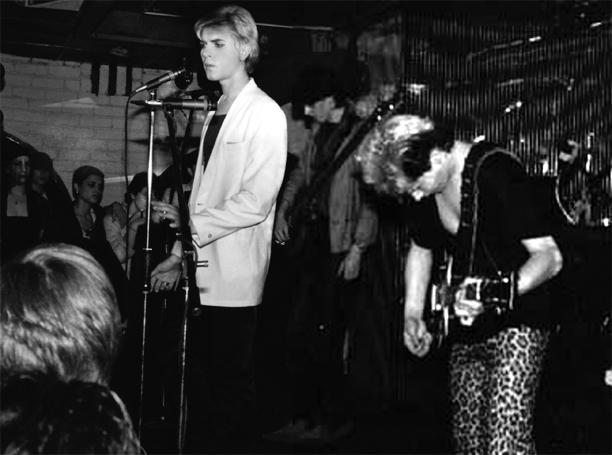 The band was already busy finding a singer before Andy joined; they talked about installing Elayne Griffiths, but soon realised that this won't work. 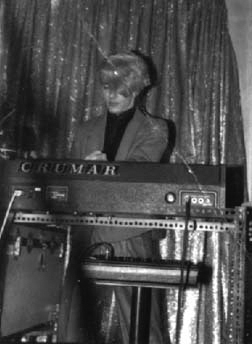 The vocal job was offered then to Gordon Sharp from The Freeze, who had come down from Edinburgh and briefly stayed in Birmingham. 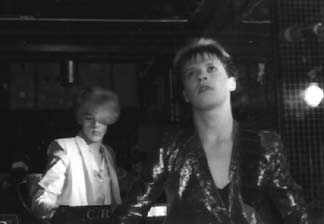 But Sharp decided that Duran Duran's ambitions did not sit well with his own direction. Next recruited was Oliver Guy Watts, he lasted a few days. 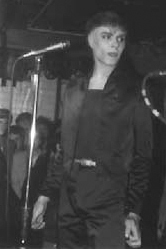 Finally Fiona Kemp, a waitress at the Rum Runner, suggested her ex-boyfriend to come down and meet the band. 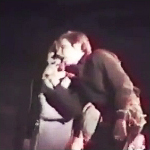 The ex-boyfriend was no other than Simon Le Bon. 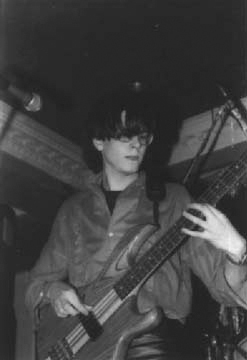 Previously already being in bands (Dog Days and Rov Ostrov), Simon, who comes from Pinner, was currently a first-year drama student at Birmingham University. He turned up for the audition wearing pink leopard-skin-print trousers, a suede jacket, sunglasses and pointy boots. 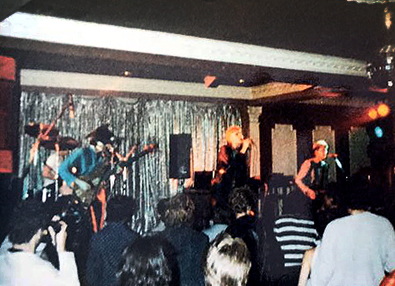 The other members of the band played him an instrumental backing track they had been working on, Simon listened to it and within the audition the song Sound Of Thunder was completed. 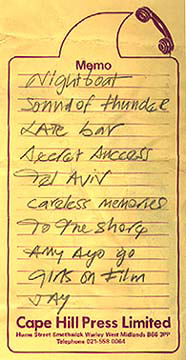 Simon had a blue book, which was filled with lyrics and ideas for songs. The four members of Duran Duran were impressed. 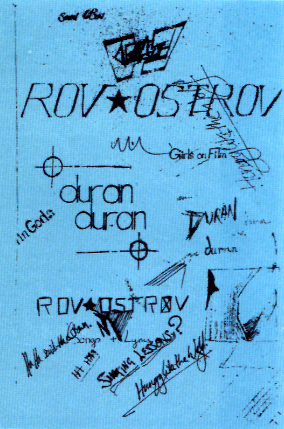 That book contained the lyrics for many of Duran's future compositions, but also for songs that have never been recorded, such as On A Dead Child, Underneath The Clocktower and Beverly Hills. 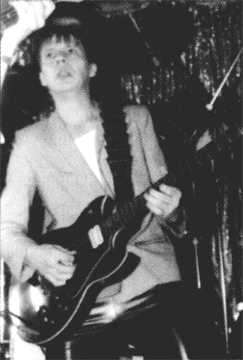 The following day, Simon took a taxi to Moseley with John Taylor after rehearsing at The Rum Runner. They were still getting to know each other, and Simon asked John what his ambition was. Simon was wondering how the band would gain street credibility. "Street credibility? 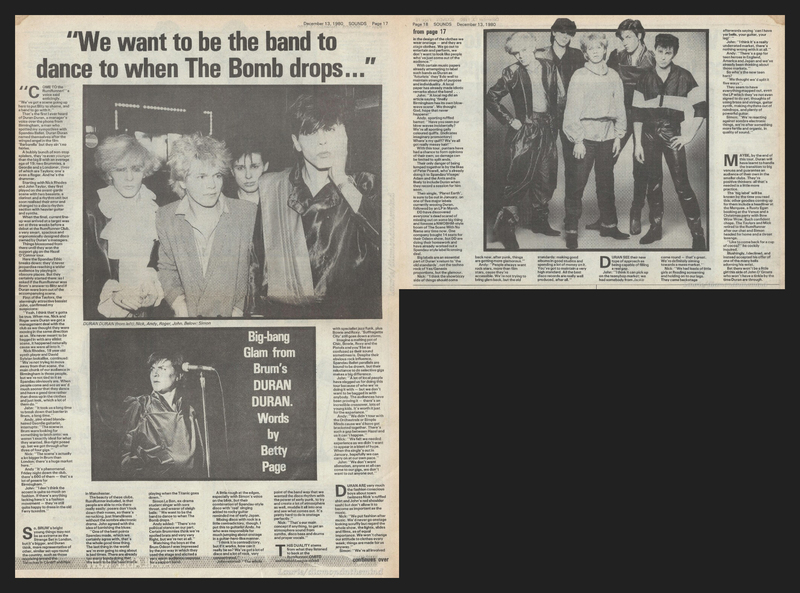 ", John replied, "Duran Duran has got about as much street credibility as Chanel N°19! We are in it for the big time, we are going to the top". Simon then first realised the band was a serious endeavour and they might actually succeed. 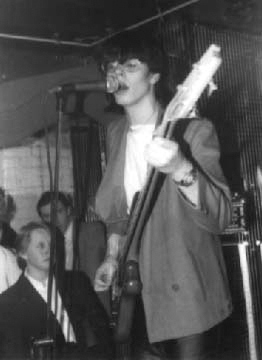 Within a few weeks, the band had put a set together, and played their first gig on July 16th at the Rum Runner. 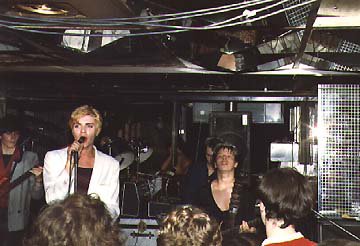 They went on stage to Tomorrow Belongs To Me from Cabaret, which launched into a cover version of Donna Summer's I Feel Love. Also, never recorded songs like Secret Success and Amy a Go Go have been on the setlist. 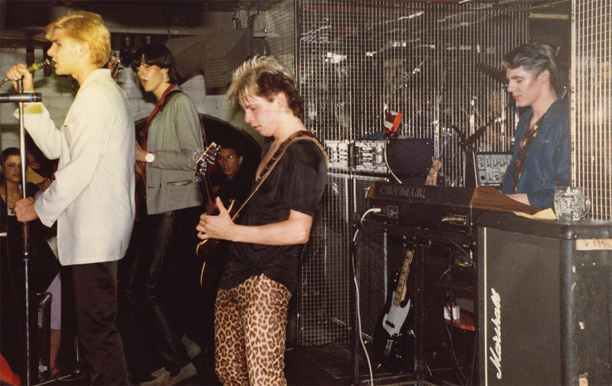 Together with the band Bodysnatchers. Together with the band Classix Nouveaux. 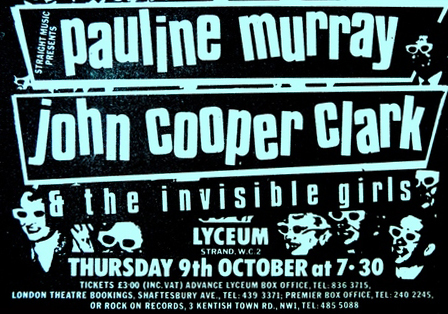 Opening for Pauline Murray and The Invisible Girls plus John Cooper Clarke. this date. He was convinced that this band were going to be massive. The Berrows and the band then printed 5,000 labels with a new Duran Duran logo, designed by John Warwicker, and planned to independently release the previously recorded Planet Earth and Is There Anyone Out There? 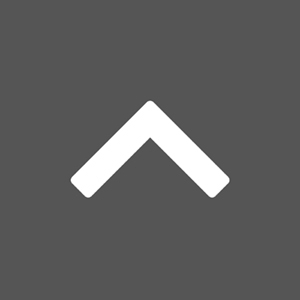 on the Tritec Music label. This intention was finally scrapped when the band was signed several weeks later by a major label. 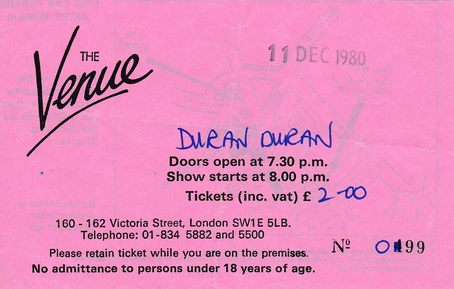 Rob Hallett, a young agent from London, was impressed by the show Duran did at the Lyceum Auditorium, and offered the band this cancellation gig, standing in for The Associates. 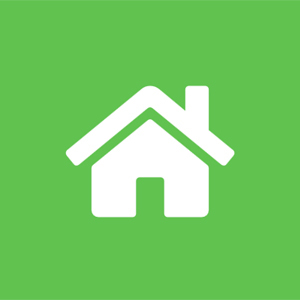 Michael Berrow then mortgaged his house, raising the cash for a support slot on tour with Hazel O'Conner. 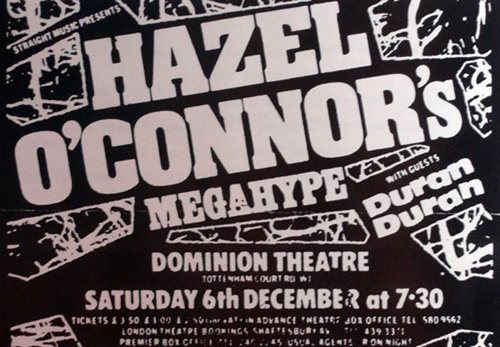 Up to this point, Duran Duran played a number of club gigs, but now they stepped up to auditorium size venues with the support for the Hazel O'Conner and Megahype tour. 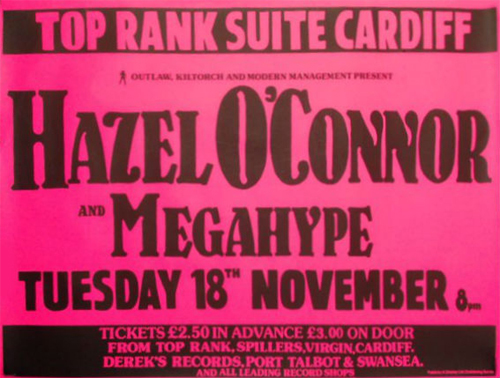 While touring with Hazel O'Connor, the band attracted more labels to sign them, resulting in a bidding war between EMI and Phonogram. 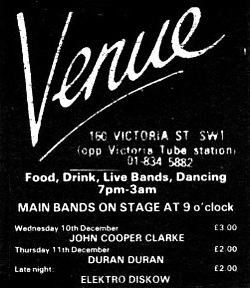 And although Phonogram made the better offer, Duran Duran wanted to go with EMI. 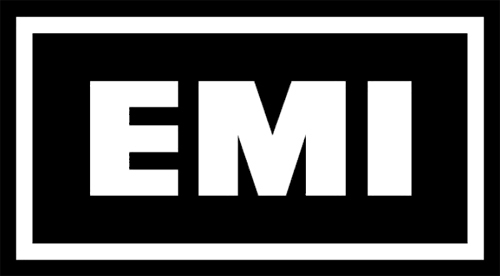 The band inked their record deal on December 5th in London. 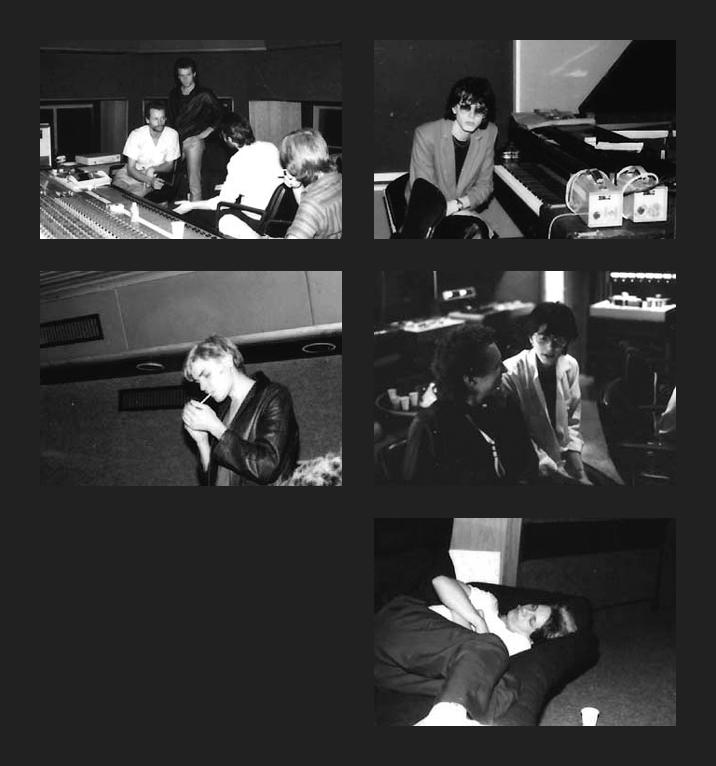 Dec. 8th, the band went to EMI's Manchester Square studios in London and demoed 4 tracks (Anyone Out There, Planet Earth, Friends Of Mine and Late Bar). 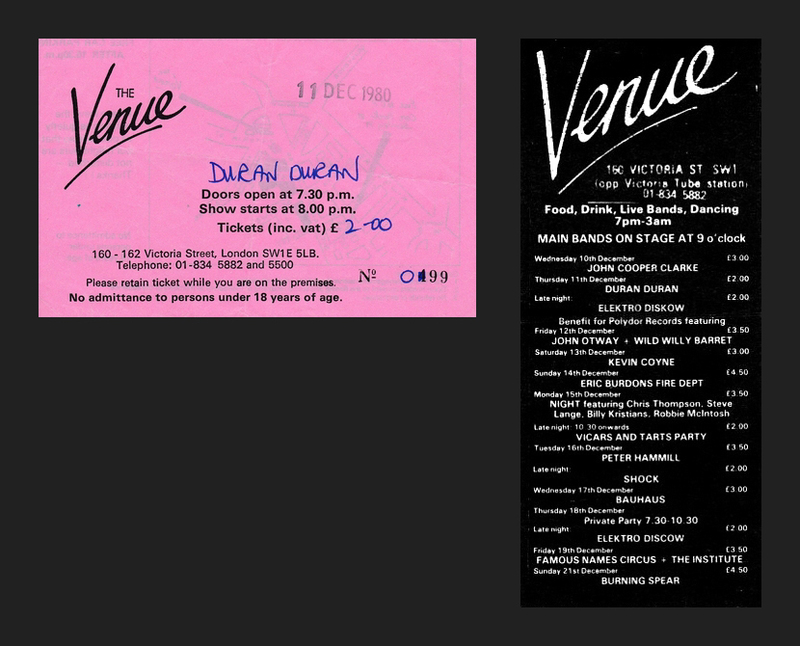 Later that night, they played the Marquee Club in London. 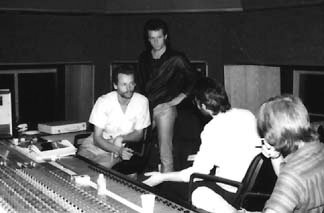 July 29th, the Berrow brothers sent the boys to AIR studios in London, their first venture into a 24-track studio, where they recorded early versions of Girls On Film and Tel Aviv. Unlike the instrumental version on the album, Tel Aviv was completely different, as was Girls On Film. 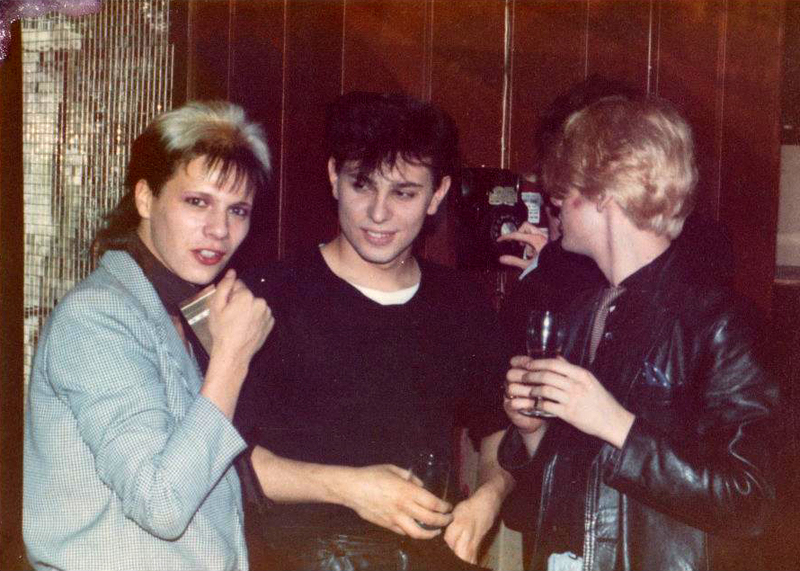 Andy, Roger, Nick and (maybe) John, in the back on the telephone, in ca. 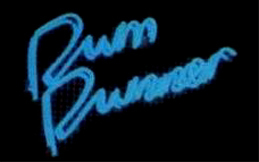 August/September at the Rum Runner. Sept. 17th, the band recorded more demos. 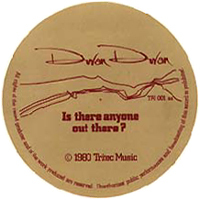 In fact, Planet Earth and Is There Anyone Out There? 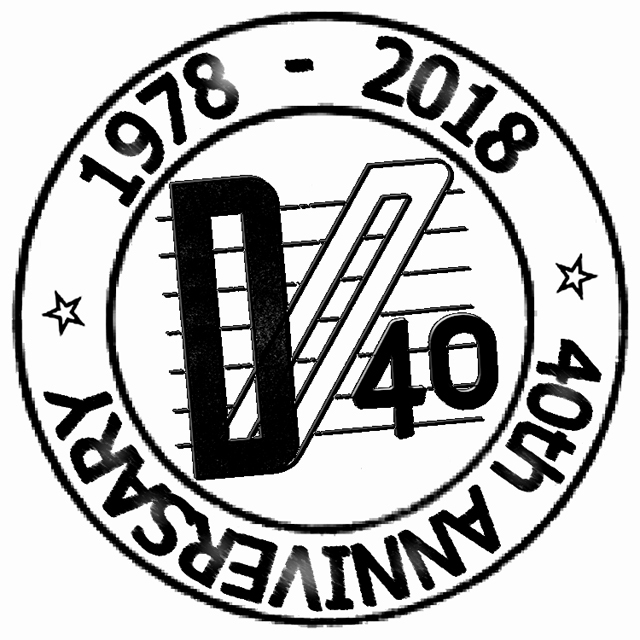 have been recorded on this date at Bob Lamb's studio, followed by demos of Night Boat, Sound Of Thunder and Faster Than Light. Dec. 4th - Norwich U.E.A. 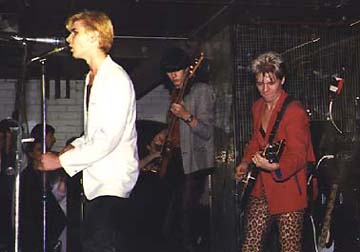 Theatre; on this last Hazel O'Connor support-date, both Simon and Andy joined Hazel on stage for a performance of Suffragette City.